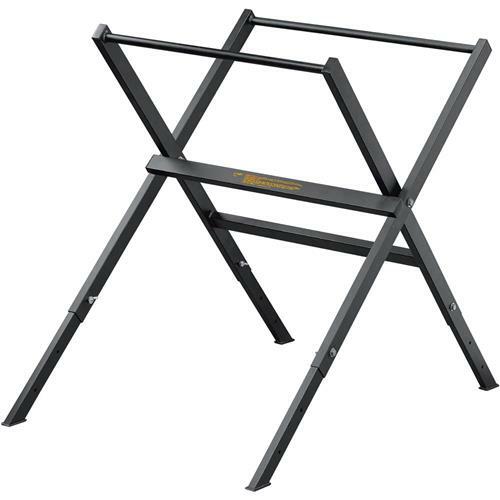 Whether you're a professional moving from one jobsite to the next or simply don't have space for a permanent saw stand in your home or workshop, stability and portability make the DeWalt D24001 tile saw stand an essential accessory. This dependable, all-metal saw stand makes it easy to set up your D24000 tile saw and get to work--quickly and safely. With four different height settings, this stand lets you customize the position of your saw for optimum use, ensuring less wear and tear on your body and improved precision. And when it comes time to pack up, you'll appreciate the convenience of being able to fold the stand flat for transport or storage.